We are now living in an era where technology makes many things possible. Through the use of an electronic product such as an electronic cigarette, smokers who desire to quit traditional tobacco smoking are able to do so easily. If you are a smoker you definitely know that addiction makes quitting the habit very difficult. Electronic technology provides the best strategy since one is able to enjoy smoking experience on his / her way out. The smoker cannot tell the difference between traditional cigarette and an electronic cigarette in terms of the sensation. There are many benefits of electronic cigarettes over normal cigarettes thus many people are now buying the product. The benefits are as explained below. The main benefit of electronic cigarette is the price. They are less expensive compared to traditional cigarettes. What you need is to buy the product which is powered by e-cigarette batteries and you are good to go. The kit, which is the starter kit, is a little expensive. However, the starter kit is only bought once. The smoker then needs to refill the cartridges after some time. The electronic cigarette cartridges are cheaper than normal tobacco cigarettes. 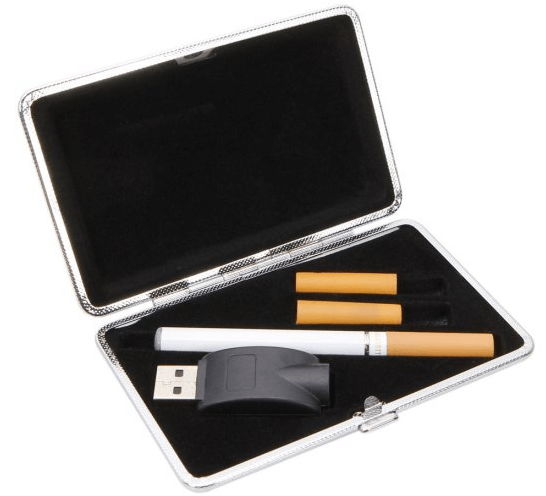 For example to refill the electronic cigarette kit may cost the smoker less than 20 USD in 7 days. On the other hand, the traditional cigarettes smokers will incur more cost for the same period of time. As an e cigarette smoker, you will no longer buy colognes or perfumes to get rid of the smell that comes with tobacco smoking. This electronic product is readily available in many local stores and online stores. The number of buyers is increasing and many stores have refilling services now. The supply has greatly increased to meet the demand. These products are fitted with rechargeable e cigarette batteries. This means that you can recharge the battery at your own pleasure and refill the cartridge very easily and cheaply from the many stores. There are many health problems associated with smoking tobacco cigarettes. This is not the case with electronic cigarettes smoking. The users of this electronic product usually pay less insurance rates than smokers of normal cigarettes from insurance companies. Tobacco smoking leaves an unpleasant smoke and smell that is not healthy to anyone nearby. The tobacco cigarettes smoke takes a long period of time before clearing. With electronic cigarette it is not the case. Its vapor has a mild scent that disappears completely and very quickly. Another benefit is that with electronic cigarettes you do not require any flame. This is a major benefit to smokers since you will no longer be burning holes on your shirts and stuffs around the house. Electronic cigarette smoking promotes your self-image. Tobacco cigarette smoking is an addiction. Smokers sneak out to smoke no matter the situation or the place they are at. This gives you the tobacco smoker a negative self-image to people around you. On the other hand, e cigarettes are powered by e cigarette batteries meaning that you do not have to sneak out all the time. Do Fake Instagram Followers Compromise Your Blogging Activity?